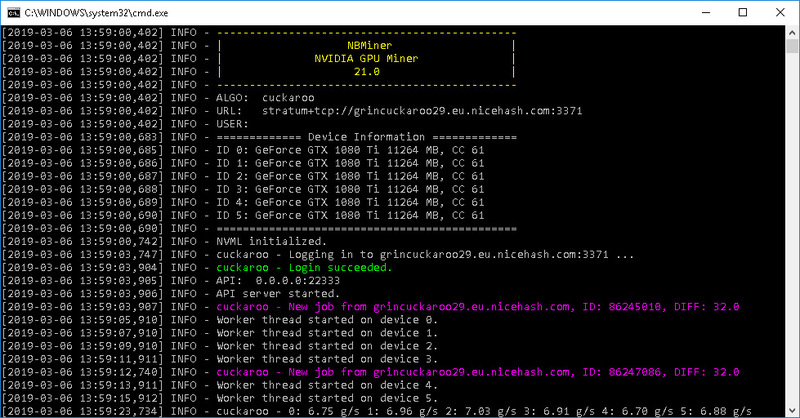 Our v21.0 is the fastest Grin29 & AE miner under Linux. – Add support for mining Grin & AE on Turing cards. – Add detection for GPU hung. 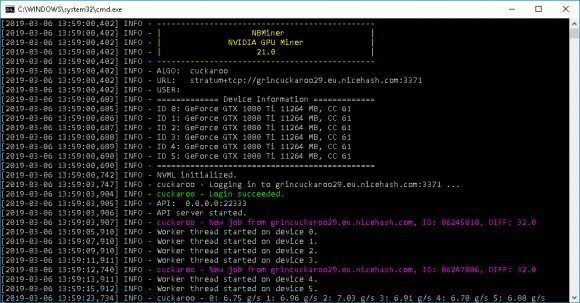 – Increase chance of accept share when mining Grin on NiceHash. – Fix ETH mining on NiceHash. – Fix “accecpt share checking” bug when using backup mining pools. – Fix bug: “GPU hung detected” happens under some normal conditions.